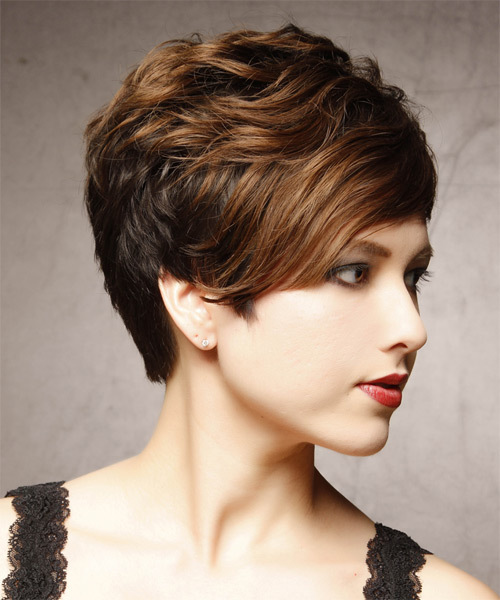 The back and sides of this short fancy 'do are tapered into the head while the top is left long enough to pinch with a little product to create height and texture. This look is perfect for those with fine to medium hair looking for a style with class to compliment a round face. Regular trims is needed to maintain this shape. Pinch and twist the ends to create a textured finish.